At one time or another, organizations develop an over-abundance of “negative energy”. Sometimes this can be linked to organizational trauma such as down-sizing, budget restraints or workload increases, but sometimes it evolves over time with no apparent triggering event. The ‘negative organization’ is characterized by increased complaining, a focus on the reasons why things can’t be done, and what seems to be a lack of hope that things will get better. It feels like the organization in stuck in mud! And, it’s contagious. Negativity will affect even the most positive employees. But here are some actions that can help. It is obvious that if management is adopting a negative stance and using negative language, staff will follow. Don’t allow the management team to do it! Ensure it takes an explicitly positive approach with staff by showing confidence in their abilities. Expect a lot, support staff, hold them accountable, confront them and be clear and honest. Have the management team set standards for their work and relations with employees and ensure they set an example of positive behaviour. An organization can’t ignore negativity and expect it to go away. If it does not acknowledge it, then staff will feel that the managers are out of touch, and will not be confident in their abilities. Managers should acknowledge frustration and negative feelings, and not try to convince people that they shouldn’t have their negative feelings. However, when acknowledging employees’ negative feelings, there needs to be a mechanism for asking for suggestions regarding what to do about them. Sometimes we forget to find positives. When an employee makes an impractical solution, we are quick to dismiss the idea. Managers should be identifying efforts while positively discussing people’s ideas. Small victories should be sought and talked about. Turning a negative organization into a positive one is a result of multitude of small actions. The management team should provide positive recognition as soon as, and whenever, good performance is identified. And positive strokes recognition should not be coupled with suggestions for improvement. Separate them. Combining them devalues the recognition for many people. It is easy for managers to get caught in the general complaining and bitching, particularly in informal discussions. When faced with negative conversations, managers might consider changing the subject, commenting directly on the negative content or ask plainly what can be done about the situation (move from negative to positive slant). It is not uncommon for organizations to go through periods of negativity. Management teams play important roles in determining if that negativity will increase, or whether the trough is relatively short. Above all, it is important to remember that it is the little things that are done, day in and day out, that make the difference. Performance leadership, for the most part, is an active process. There is evidence that the most successful leaders of high performance individuals and teams spend a large part of their time in brief informal meetings. By doing this, they can gather information, facilitate action when something is wrong, let everyone know that they’re aware of what’s happening and that they care and will help make sure things go well. Although formal meetings and reviews are a necessity in the workplace, effective leadership doesn’t depend on them. 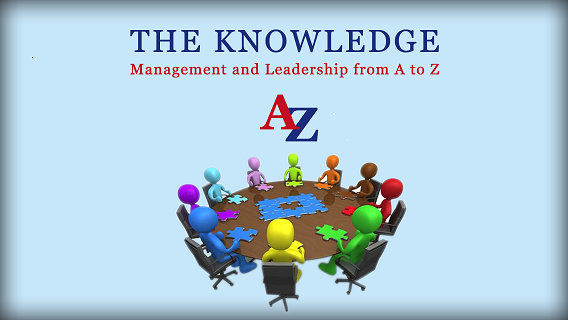 Effective leadership takes place between these formal sessions and consists of informal and supportive gatherings in which performance is openly discussed, positive reinforcement is given, and problems are discussed and addressed. Here are some guidelines. This may mean walking around, or it may mean arranging brief one-to-one or team meetings from time to time. In any case, when people work for you it’s your job to be aware of what they’re doing, how they’re doing it and what you can do to help. This is about using your observation and listening skills to best effect. When exploring issues of performance, in the first instance adopt an accurate descriptive stance rather than an evaluative one. Regularly remind yourself and your team of what your objectives are. State them as clearly and precisely as possible using numerical measures when you can. This helps you determine whether you have a problem and, if you have, how big it is. It also lets you see when the work is going well. Make sure you listen carefully to your team members’ interpretations of what’s happening and what the causes are. You may have your own opinions, but they shouldn’t diminish your ability to hear others. Above all, don’t take a stance before you’ve heard all sides. In many cases there won’t be any problems but you still have a job to do here, i.e. to give an honest pat on the back when it’s warranted. Thereafter, see what you can do to ensure continued success. You may also want to look toward the future and plan for coming changes. If problems do exist, your support is needed. Most people are reluctant to see themselves as a cause of poor performance. The problem always lies with someone else, some flaw in the system, or an unlucky break. Fortunately, however, people do usually play an important role in causing their own troubles. This is fortunate because it’s easier to correct our own behaviour than that of outsiders. Therefore, you need to encourage team members to see their own contributions to presenting problems and so create the conditions in which they may develop a strong motivation for self-correction. Of course when circumstances outside of the team contribute to causes these should also be recognised and dealt with. Feasible – There’s no point in berating a team member about something they have no control over. Don’t say, ‘James, you were late again today!’ if you know that there was an unexpected and massive traffic jam on the road that James travels to work. Once you’ve come to a consensus on the nature of a performance problem, brainstorm together with the team member for possible solutions. By giving the team member a share in the responsibility for coming up with solutions you encourage ownership. Negotiate something that makes sense to both of you. Once you’ve decided on a course of action, clarify your responsibilities. Make sure that the team member has as much responsibility as is reasonable given his or her ability and experience. Remember that you also have a role in the solution. It may be nothing more than monitoring to see that the situation is corrected. Or, it may involve more substantial activity that only you have the authority or expertise to carry out. Finish the session by summarising what the problem was, what solution was chosen, and who is responsible for each part of its implementation. Stress the positive outcomes you want, not the situation you want to avoid. A partnership is an arrangement between two or more groups, organizations or individuals to work together to achieve common aims. The term is now widely used, and sometimes it’s applied to situations where one powerful organization is doing no more than consult with others, or where one organization is simply buying something off another. But these are not real partnerships in the true sense. If they were, then every time your team asked another team for some information or advice, or ordered a product/service, these interactions would be described as partnerships! So what distinguishes such interactions from a true partnership? There is respect and trust between the different partners. Partnerships are often more successful than individual endeavours because one group isn’t saddled with the responsibility of doing everything within its own constraints of perception, knowledge, skills or other resources. And having access to a wider variety of ideas and being able to share the financial costs of achieving a desired aim also means that an organization could confidently tackle issues they had previously steered clear of. They offer support and diversity. However, for partnerships to add such value, there must be a high amount of planning, flexibility, energy and commitment by all the parties involved. With planning, for example, a successful partnership will have back-up plans in the event that one or more of the partners cannot attend an important meeting or event. This could mean filling that partner in at a later date, taping the event for them or sending them the minutes of the meeting, or having delegated decision-making arrangements. The important point about flexibility is that the partnership structure should be tolerant enough to understand when another partner genuinely cannot meet a commitment but rigorous enough to weed out those groups who are not 100% committed to the partnership. Acting together – after you have decided on the course of action, ensure that each willing member of the partnership is involved in carrying it out. There are no hard and fast rules as to what constitutes a partnership. For example, although many people will only consider ‘true’ partnerships as those where the stakeholders are not being paid to take part, Public Private Partnerships (PPPs) usually involve financial payments. You can’t have a partnership unless you have someone to partner with. One of the easiest ways of finding partners is to join an existing partnership. There may be ideal partners at a local, regional, national or even international level who would greatly enhance the success of your operations. However, joining an existing partnership will only be possible if the issues the partnership is tackling are similar to yours or if the projects they’re planning are of benefit to your client group. If you’re attempting a radical new project or tackling issues that have not been addressed before, you may have to build your own partnerships from scratch. Before you begin looking for partners, it is essential that you have a specific idea of what you plan to do and what kind of help you may need to do it. For example, if you plan to start a project to get ex-offenders into work, you will need help from the local prison and local businesses. If your organization works with a particular client group you should also identify organizations that are working with such a group elsewhere. These groups may be able to become partners or may simply offer you advice and contacts. Getting recommendations from people and organizations you regularly network with are one of the best ways of finding new partner organizations. Your regular network would usually consist of people you respect and who know your organization’s ethos. If they come across an individual or organization that they believe is worthwhile for you to speak with, then you should at least try meet with that individual or organization. What are you trying to achieve, and how will you explain that to others? Is it a long-term or a short- term project? Will you need just a few or many partners? Will your partners have to contribute money? Will your partners be mainly advisory? Who else offers services similar to yours? What other organizations are involved in helping your client group? How do those organizations operate? How effective are other organizations at providing their service? Which organizations could help in planning or organizing your operations? Can you see gaps between your work and that of a potential partner, or any duplication? Trust is an essential criterion for partnership. When you are seeking partners it is vital that you deal with any issues about trust and accountability first. To help establish trust, focus on the ways you can work together and actively seek out any shared values and ways working. Once you have entered into partnership you need to further develop this trust. Once you have undergone the task of identifying the partners you need to or would like to work with, the next step is approaching them. This can be daunting as there’s no guarantee that the partners you are interested in will be as enthusiastic about your aims as you are. If your operations benefit the local community or the client group of another organization, then your work might be made a lot easier. This is because the potential partner may buy-in to the partnership, or at least be prepared to work with you, in order to make the operations a success. However, if the link between your work and the local community is tenuous, or if your partners would be expected to contribute financially, you will have to work harder to convince them. You should always make sure that you have support and agreement within your own organization before trying to work with others, otherwise you may end up fighting an internal battle while trying to make the partnership work at the same time. Before putting formal proposals to potential partners, make informal contact to find out about their attitudes and interests. Encourage them to talk about what they would like to achieve from the project and try to accommodate these aims if possible. When you are trying to form a partnership it’s vital that you have the right attitude, both to your potential partners and to your own operations. Remember that the partners are stakeholders and should be treated as such. Do not make the mistake of assuming that because the approach originated from you, you therefore ‘own’ the operations. In a true partnership, there are no bosses and underlings. A second point is to make sure that you are always open and honest with your partners. And you should always stress that you expect the same from them. Finally, be honest with yourself about your operations and be open to ideas from others. It is tempting to want to rush into a partnership because the benefits of it may be so wonderful. But anything worth doing is worth doing well, so take time to plan the partnership process thoroughly and give your partners sufficient time to act. A new partnership will take some time to set up. On the other hand, if you think partners are deliberately dragging their feet then you have every right to make sure that things are accelerated. A partnership’s success will depend heavily on the resources it has at its disposal. It is also easier for potential partners to commit to a partnership if they know that it will be properly financed or, at least, if they know that adequate funding can be sourced. One of the major benefits of establishing a partnership is that it can win grants for specific projects, so you should communicate this information to your potential partners. A meeting of minds does not always ensure that things will go smoothly. Just because your partners have agreed to come on board doesn’t necessarily mean that they will agree with all the decisions made or that they will get along with each other or even with you. The initial stages of the partnership are a very important time as the mood established during that period could set the tone for the rest of the partnership and could affect how successful it will be. Like any relationship (for that is what a partnership is) trust, openness and honesty are also vital elements to its success. This is why you need to plan the process so that every partner is involved and informed at each step of the way. You can use a range of methods to involve people – workshop sessions and team building exercises work particularly well, as do formal meetings or even an informal ‘launch’ event that allows the partners to socialize. Be sociable and give the partners time to get to know each other. Partnerships also evolve over time and you should be prepared for that evolution to happen. For example, one partner may be willing and able to play a big role at the beginning of the relationship but their involvement might decrease towards the end. On the other hand, an organization or individual who had originally signed up as only a consultant partner may later decide that they want a more proactive role. Always strive to encourage ideas from your partners, not just by telling them that their ideas are valued but also by showing them that they are. If a partner comes up with an idea, don’t shoot it down because you feel it doesn’t fit in with your plans. Consider it carefully and, if it’s a good idea, use it. If you don’t want to use it, explain why it doesn’t fit. Seeing that their ideas are valued and used will help partners feel a sense of ownership and ownership leads to commitment. In a partnership, there may sometimes be one big voice and several little ones. Make sure that the partner with the loudest voice is not the one that’s always heard. You can do this by actively encouraging the softer voiced partners to give input and ideas. Make informal contact with all your partners to find out about their attitudes and interests before you put together formal proposals. A telephone call, e-mail or a lunch could give everyone the opportunity to have their views heard clearly and without any distortions. Many partnerships will involve a wide variety of organizations and people. There might be local voluntary groups, the local council and local businesses. This diversity is a key strength in partnerships and it should be catered for in your communication methods. A small, local group may not understand all the jargon that is too often a large element of political, public and voluntary sector speech. Communicate with your partners in simple language that they will all understand and focus on what they all want to achieve. Be open and honest with everyone and whenever possible, try to ensure that everyone receives the same information at the same time. And remember that although information is essential for all participation it is not participatory in itself. Therefore you have to make sure that your communications lead to positive and real actions. When organizations are faced with tight timetables and firm guidelines on partnerships it is difficult to think through all the complexities for participation and partnership and there is a strong temptation to go for a quick fix and hope to sort things out later. Quick fixes rarely work and later will be too late. Sort out every issue as it crops up in the partnership and give yourselves adequate time to do so. Partnerships have great potential for progressing a cause, tackling difficult issues and accessing funding. But it takes a lot of hard work and commitment for them to succeed. Much of the work is common sense – for example, there shouldn’t be one ‘important’ partner that takes precedence over the others, instead each partner should be allowed to contribute ideas. However, it’s extremely easy to let common sense fly out the window when you are faced with the hard task of running the partnership on a day-to-day basis. For example, one partner might be putting in the most money, time, or commitment while others are constantly making up excuses for not being 100% committed. The key is to use your judgement and management skills and to try to follow best practice wherever possible. Try to get the best out of each partner, through coaxing or by reminding them of the commitment they made to the project. Partnerships are becoming more popular as people and organizations try to take advantage of the many benefits they can offer. However, not every partnership will succeed. In fact, some partnerships can go horribly wrong if the right procedures are not followed and if the right attitude is not present in all the partners. For example, an organization may enter into a partnership simply because it is ‘told’ to by another (controlling) party. While this may not be bad in itself, if the organization has no natural commitment, the partnership will suffer or even disintegrate. The financial and time commitments outweigh the potential benefits. No partnership will ever be perfect and if you spot any difficulties simply take a few steps back. Establish why the partnership was formed, re-visit the core reasons why the partnership was necessary in the first place and then sit down together and review what was wrong honestly and openly. Learn from previous failings and use the information from the review to build a new, stronger partnership. Priority management means using your available time in an effective and fulfilling manner. The principle of effective priority management is that we take enough time for the truly essential tasks. The problem isn’t that there isn’t enough time, it’s more about how the time available is used – and how priorities are set. Like any other resource time can be either used well or misused. Time is a very valuable resource in a partnership, especially when we are balancing different people’s schedules and levels of involvement. Partnerships are damaged when people feel that their time is being wasted, the relationship isn’t given the time it needs to develop or people fall behind on schedules or commitments. One of the most critical areas of responsibility assigned in a partnership is financial management and budgeting. Staying within budget and efficiently managing financial resources are often the most important criteria used to measure the success of a partnership. Even if the partnership has achieved great things, the perception that resources are not well managed or used wisely may undermine support for it. Partnerships have a responsibility to set a budget, live within it and be able to demonstrate that resources are being used efficiently. Meet any reporting or accounting requests required in the partnership. Partnerships sometimes involve a mix of paid workers and volunteers. Knowing how to recruit, support and work with volunteers is an essential set of skills needed in partnerships. Some of the most common skills are sensitivity, respect for time, the ability to value skills developed outside the workforce, appreciation for different motivations as well as skills related to providing feedback and retaining interest and enthusiasm. Everyone has different levels of stress, ways of responding to it and methods of reducing it. Partnerships can cause additional stress to leaders who face managing several processes and activities at a time within a diverse group of individuals, often with few resources and very little time. Being irritable, having difficulty sleeping and experiencing feelings of fear or panic can all be signs of stress. Recognize that having a role in a partnership may result in stress, so be aware of it and manage it if it becomes a problem. Training or professional help may be required when stress is a major concern to the partnership members, or if any individual is experiencing real difficulties with it. Evaluation usually appears as one of the final steps in the partnership process but it needs to be built in right at the beginning. Evaluating the partnership on a regular basis helps highlight your successes and flags up areas that need work. Regular evaluation is often a component of outside funding so having a system in place and agreeing on how it will work is a key ingredient to a successful partnership. Progress in a partnership is tied to achieving your goals. Once you have established a set of goals you can look at ways of measuring and communicating your progress towards them. When outside funding is involved – like foundation grants or government programmes – there are multiple levels of evaluation that need to be considered. Any funder is going to want to know that what has been funded is actually taking place. In addition, the funder may have assessment or evaluation criteria that must be built into the design of the partnership. This should be discussed and agreed early in the relationship so that there are no surprises and so that data can be collected as and when needed. With government funding, there may be audits and special evaluations that focus on the use of the funds, measures of success or tracking systems. Try to determine in advance what the expectations are, what systems are to be used for data gathering and what measures of success are important to the funders. Finally, there is no point in assessing progress or evaluating success if the information gathered isn’t acted on. Monitoring should be done in such a way that you have the time and resources to make changes. Partnerships have endings and ideally this will be a positive and satisfying end to a productive grouping. Some partnerships go on for a very long time with far-reaching or long-term goals. They might need to consider points of closure along the way in order to feel that progress has been made. Having phases or different intervals of completion will allow for a sense of accomplishment and provide opportunity for celebration. Normally this happens when goals have been reached, the project has been completed or the purpose of the partnership has been satisfied. At this point, the partnership, as it was designed, will end or be revised. Whether you are finishing a stage or moving on to other goals, changes will occur. Before moving on to the next stage you should review the partnership’s impact. Over the course of a partnership people change and relationships are built. Understanding the need for a marked ending is fundamental to creating a sense of satisfaction for having been involved, or to prepare the ground for further or different involvement together. Sometimes people who have been completely involved in the partnership may return to their regular work and to an organization that has not been directly involved in the partnership. Having a formal ending to the partnership allows a free return to regular duties, with a feeling of completion and appreciation. Throughout the life of the partnership, strong bonds are formed between various individuals and with the group as a whole. It helps to acknowledge that the initial basis for the friendships, the partnership itself, may be ending, but the friendships don’t have to. People who have worked together in one partnership will often work together on another one. They will bring with them their skills, experience and the knowledge that they can work together. Endings should have the same attention paid to them as beginnings. Care should be taken to acknowledge the results of the partnership, the various individuals who have made a difference, and the effort that the group itself has made. Creating an aspirational vision and associated mission is an ideal way to start a partnership process and should help inspire everyone involved. By describing what the future could look like as a result of the efforts of the partnership, everyone involved will be able to see the need for the effort it will take. You can then focus on how your partnership is going to contribute to the achievement of the vision. This can be the basis for a high level of motivation. Some partnership groups like to capture their vision and mission in a one or two line vision/mission statement which describes what they want to achieve to people within the partnership and those they will be working with along the way. Make sure everyone who is going to be involved in making things happen has a chance to contribute – start with a lot of ideas and ‘whittle them down’. Concentrate on reaching agreement on the big ideas. Try to avoid getting bogged down on the use of particular words, processes or references. Use a variety of methods to capture people’s thoughts – words, pictures, flip charts or even poems – anything that will help give a sense of how it could look and feel. Combine the ideas and thoughts into a clear picture to share with everyone. Then find a simple way of describing it in one or two lines. Your vision and mission give you a clear idea of where you want to go – your goals are a roadmap of how you are going to get there. Goals are statements of intent created by looking at your mission and figuring what you are going to do to get there. The best way to achieve your mission is to set a number of goals you can reach along the way. The more basic your goals – the easier it is to understand how to reach them. This might seem obvious but remember – you’re trying to move a lot of people, some of whom may not be involved in the partnership for the duration. Simple, short term goals help foster good communication, motivation and make it easier to measure your progress along the way and find solutions to problems that might crop up. Discuss how you will know when you have been successful, or when your goals have been reached. This will help with progress reports, and will form the foundation for evaluation. By managing conflict well in a partnership you can minimize hassles and get the most out of the process. It’s also important to recognize that confrontation between partners does not equal failure. Purpose is what drives any operation and differences of opinion often arise when people are passionate about what they do. If handled correctly – in an environment that encourages listening and compromise – conflict can often shed light on a problem or help groups find better ways of doing things. Some people like a good fight, others do everything in their power to maintain consensus. Both approaches can be effective when you’re trying to get things done and both can be destructive if taken to extreme – the key is balance. If you’re spending too much time arguing about how to get things done, who should be doing what and when it’s meant to be finished then you probably need to establish (or re-establish) your ground rules. Remind everyone what the goals of the partnership are and why it’s important to achieve them. Use some time together as a group to identify the source of the conflict and ask everyone in the group to come up with a potential compromise. And listen! The more people are listened to the more confident and involved they feel – not to mention the ideas and solutions that will arise. Anyone can be a leader in a group by showing good listening skills and its effects on a group can be dramatic. If you think that things aren’t going the way they should in your partnership you should let your partner(s) know with a good, clear explanation through appropriate channels. Little problems usually only get bigger with time and it’s a lot easier to set a precedent over a small issue early on in a partnership than to sort out a big mess a few months down the road. And, once again, listen! This allows other people be heard. Give people involved in a partnership the means and opportunity to voice their concerns and comment on the progress of your project or operations. Countless studies reveal that people working directly on projects are likely to spot problems (and their solutions) long before their managers do but are unlikely to report them if they feel they won’t be listened to. Partnerships, even between charities, are becoming increasingly formalized and business-like. This may make them more efficient but it’s also important to recognize that many people get involved in not-for-profit and charity work because they care passionately about people. Fostering strong ties between teams working in partnership and understanding one-another’s narratives makes people want to go that extra mile for each other and tolerate differences that may otherwise cause problems. Personal conflicts can be the most destructive to any organization and this is just as true in partnerships. It’s worth noting that confident, secure, happy people are far less likely to find themselves in personal confrontations than those who are insecure and unmotivated. Avoiding a meltdown starts with making sure that you and your partnership members are happy, feel secure in their jobs and believe in what you are all doing. If you sense personal conflicts erupting between members of a partnership its important to help both parties get to a point where they can at least work productively together (or, in the worst possible case, move them off the partnership so that they don’t do any lasting damage). Many confrontations can be avoided before they start by thinking ahead, having good communication and being clear about your goals. Often confrontations arise because people don’t have all the facts or are working from a different set of assumptions. If you start with a clear set of goals, stages you want to get to as you achieve them and a way of monitoring progress it will be easier to identify the real problems and reduce confusion. Communication is often harder between groups than it is within them. You can take a lot for granted when speaking with someone else within your organization because you already have a good understanding of how things work, what your goals are, the way you do things and the particular jargon that relates to what you are doing. Jargon, acronyms and specialized language that is going to be hard for someone outside your organization needs to be weeded out of meetings and e-mails. Communication between groups needs to be regularly scheduled and probably more formalized than it is within your organization. It is also important to get together often enough. The telephone, e-mail and other technologies can dramatically increase the speed of communication. They can also lead to feelings of alienation, depersonalisation and outright misunderstanding. If at all possible, be sure to schedule at least an hour of ‘face time’ every month with the key players on both sides of a partnership. Partnerships give and receive a lot of information and the amount of communication we all have to deal with has been increased by technologies like e-mail and mobile communications. To avoid overloading your own organization and its partners with information it’s important to remember that more isn’t better. One of the keys to good communication in a group is being able to take a large amount of information, distil the important points and understand what they might mean to various individuals, without telling them what to think. Providing information in an organized way and having someone in charge of it is the cornerstone of a communication strategy and most partnerships require a strategy for communication and information sharing. It’s also important to be clear about who has authority to speak for the group when it comes to speaking to your partners, the public and the media. It’s a good idea to assign different experts to talk about different aspects of your activities. Assigning responsibility for communication and discussing openly what information will be shared is the way to avoid problems before they start. If you’re a large organization or expect a good deal of media coverage it’s a good idea to assign someone the role of press officer. This person acts as a point of contact for the press and should be familiar with the assigned experts in your group and have information to hand about who you are, what you do and why you’re doing it. Every organization develops its own language and culture where individuals within it develop their own terms, jargon and ways of expressing themselves. If you’ve ever started fresh at an organization you will immediately recognize this and remember that it took time to learn what all the acronyms stood for, what the job titles really meant, what the names of different projects signified and so on. When taking on a partnership you need to understand that your partner will face the same problems – and so will you. Technology is only as good as the results it delivers. Developing a strategy for how you’ll use technology in your partnership means understanding your needs, the resources to hand and your desired outcomes. Good partnerships require good communication. Information technology gives your organization the opportunity to maintain close contact with other organizations and work with people all over the world. But sometimes organizations forget that technology exists to open doors – not close them. This is probably the most important thing to remember when using IT to communicate with your partner. It’s no good using the latest model PC to whip up a power point presentation and e-mail it off to a partner who would have to spend hundreds of pounds on a system upgrade and new software just to look at it. Some of the most powerful and effective campaigns have been run from a kitchen table with nothing more advanced than a notepad and a telephone. It’s important to understand that budgetary constraints or the desire to spend money ‘where it’s needed most’ might prevent your partner from having access to the same technology you do. Part of establishing rapport with a partner is understanding the best way to communicate. If you all have internet connected computers then e-mail, websites and other messaging systems will serve you well, if one partner doesn’t have access to these then the telephone and post can be just as effective. E-mail is easy to use – easy to abuse. When communicating between organizations with e-mail it’s important to use common sense. Your office might be very laid back but your partners may not and firing off one or two line missives, chock-full of spelling mistakes and creative grammar, could be perceived as discourteous and unprofessional. This doesn’t mean your e-mails need to look stiff and overly formal. But you don’t need to be a wordsmith to open with a greeting, use passable grammar, sentence and paragraph structure and close with a salutation. Also, remember to fill in the subject line and include a ‘signature’ with your full name including the name of your organization, postal address, URL (if you have a website) and phone number. If you’re working in a well funded, modern office it can be easy to forget that many people are running operations out of their homes or in small offices with tiny budgets. If you are going to send a large attachment with an e-mail (above 1 megabyte is a good rule of thumb) it’s a good idea to call the recipient before you send it to make sure it isn’t going to clog their system. E-mail groups can also be a powerful way to share ideas with a team, set dates and times for meetings and distribute information. Again use common sense when sending all office or all team e-mails. Before sending an e-mail to a large group of people you should be sure that there isn’t any sensitive information in it that may embarrass your partners or put them in an awkward situation (you may know someone is leaving their team for example but perhaps they haven’t told their colleagues yet). Avoid forwarding jokes, funny pictures, attachments and the like. Again, this might be acceptable in your office but strictly off limits in your partners’. Websites can be a very useful tool in developing partnerships. A website can be a place for your partner to find out about your organization, its policy, vision, the people who work there and so on. You can also use a website to share information within a group, post images, results of campaigns and your achievements. Keeping on track is a matter of understanding your goals and the steps you need to take to achieve them. When this breaks down its time for leaders to step up and put the partnership back on track. When leaders aren’t capable of this the result is fragmentation and confusion. Staying on track involves having a clear direction, good leadership and discipline. Partnerships take constant effort and the process of group and team building is ongoing. Keeping true to the vision and values of the partnership will bring focus, while being attentive to members interests, needs and motivations will add momentum. Asking challenging questions can be difficult – especially when they have to do with roles and responsibilities. The questioner may be made to feel too picky or pushy or not a real team player and those asked can become defensive or feel personally challenged. But it has to be done. It’s up to every person within a partnership to keep track of the things that are personally relevant, making sure that they ask enough questions to make things clear. Remember – if you don’t understand something there will always be others who don’t either. Meetings are the heart and soul of a partnership. The best advice about what actually constitutes a good meeting will come from the people involved in your partnership. Asking them what they need and then providing it will keep meetings effective, valued and worth attending. It also will show that the partnership can and will respect input from the group. A good meeting lives up to these expectations and it’s impossible to do this without knowing what the expectations are.